On the 2nd January we went to look for a new family car in the morning. 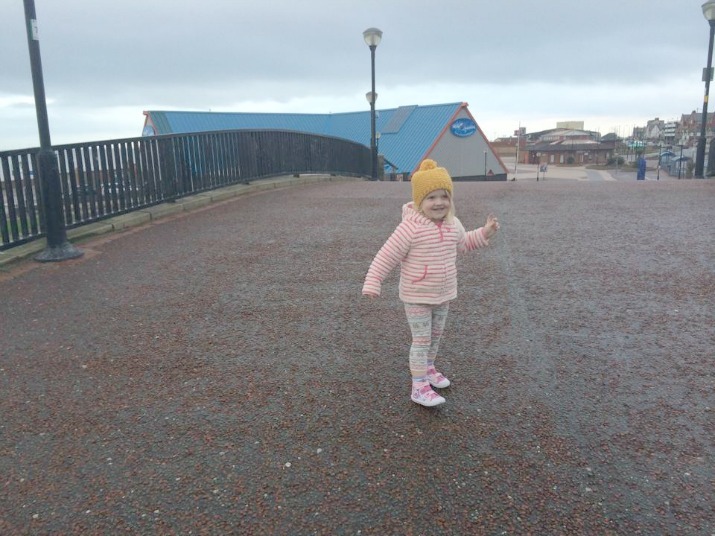 After looking for a family car we decided to go out for a ride in our car and we ended up in a place I hadn't been for a long time, Rhyl. Rhyl is a place I used to visit very often as a child, with my Dad. It can be very busy during the Summer and warm weather. All along the front are many fun arcades and across the road from the arcades is a beach, a long path to walk along the front, a children's park, cinema, Crazy golf and a SeaQuarium. The place doesn't look as well as it did a few years back, which is a shame but we still decided to get out of the car and go for a walk. We ended up going to the SeaQuarium because Elliw wanted to see the turtles. The price for adults to get in is £9.50 (16-64 years), children (3-15) is £8.50 and concessions is £9.99 with under 3's being free to enter. When we entered the place it wasn't really eye catching if I am honest, it was small and seemed too much things in such a little place. We went to the till, we paid and were given a book about the sea life animals in the SeaQuarium and an activity book for Elliw. 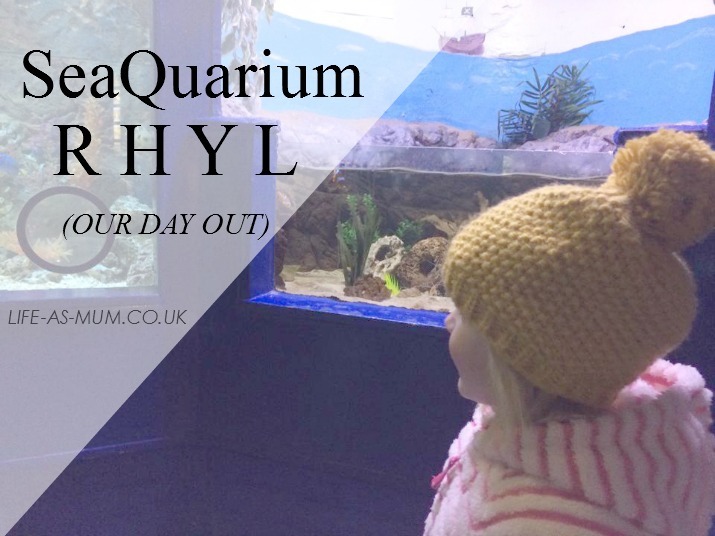 As we went from the till/shop we entered the decent sized café and on our right we started our journey through the SeaQuarium. Elliw was over the moon looking at all the different types of fish. 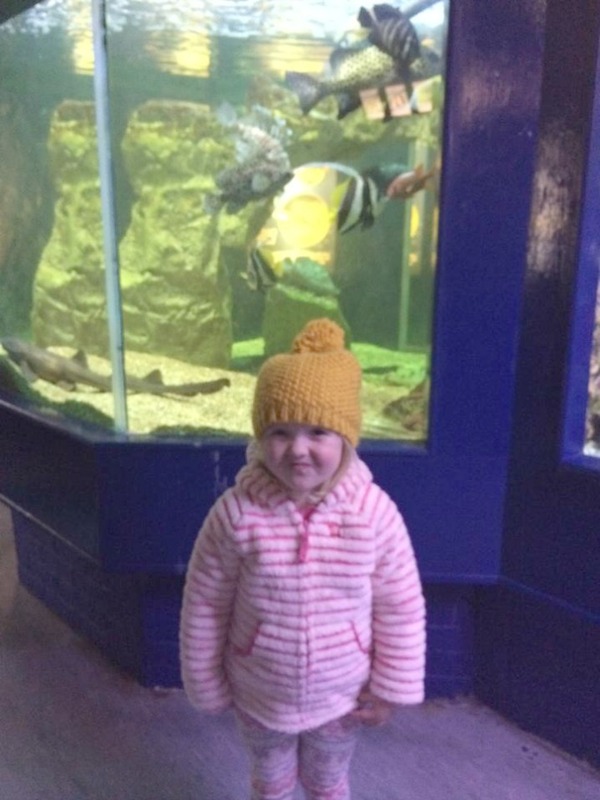 She was most interested in the Clown fish as it looked like Nemo (not as cute though!). She was also fascinated by the small sharks. I did find some places too dark and could do with a bit more lighting. As we were half way we noticed some doors we could go out and we were just in time for the Sea Lion show. Elliw again was over the moon watching. It lasted about 15-20 minutes. After the show we went to carry on seeing the rest of the fish and creatures. One part was like we walked into a sharks mouth which Elliw loved but also didn't seem to bothered about. Not long after, we had walked through the door back into the café which got us quite disappointed on how short it was. So we went back round for the second time. 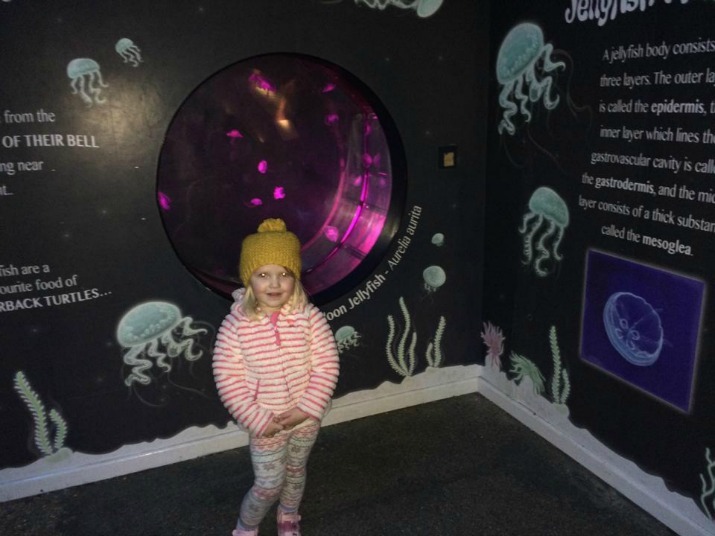 We really did have a good time there by seeing Elliw's reactions to all the fishes and her excitement but me and my partner were very disappointed with how short and small the journey was. We wont be going there for quite a while now because we did find the price quite expensive for what it was. After going to the SeaQuarium we decided to go to the arcades across the roads. Not all were open but a few were. It wasn't too busy either so it was ideal for Elliw. It really did bring me back to my childhood memories when I started to be like a big kid playing the 2p machines. My partner even knew how much I enjoy playing them. I get into the proper swing of playing and win lots of 2ps! In the end I did get bored because I did win a prize for Elliw already and the money just kept coming, although I should of moved to another but there was still some excitement wining lots of 2p's! Ha ha! That's the child in me coming out. Ha ha. We ended up going to another arcade and won some tickets for Elliw. We only had time to win 50points worth of tickets for Elliw which won her a small keyring but she was very determined to get a prize worth 2000+ tickets! After that we did realise she started to get very tired and quite miserable so we decided to go incase she got a bit worse. On our way back home we decided to go out for food and invite my partners parents. We decided to go to Aroy Dee Thai Restaurant in Bangor for food. We have been there a few times before and have really enjoyed it each time we go. Again, we really enjoyed it. * We paid out of our own money for the SeaQuarium and the food in Thai Restaurant. What a great place. I haven't been to an aquarium in a while. I don't think I took Matthew to one before. Something to do. 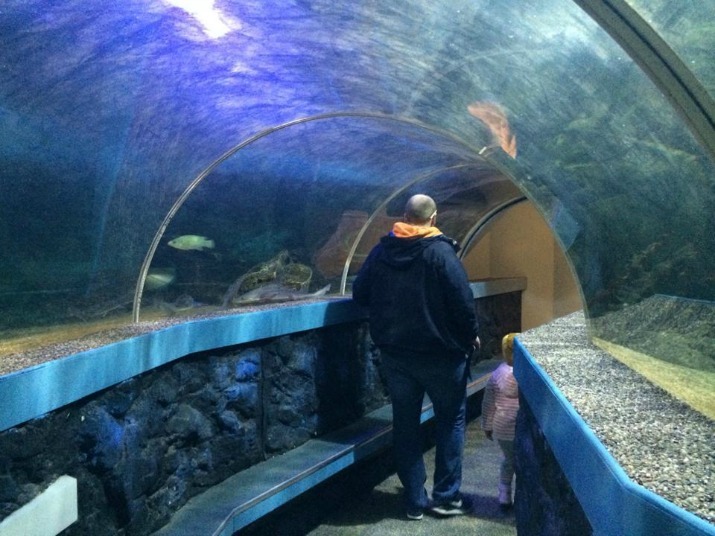 I think Aquariums often feel over priced. There's only one I ever really felt I got value for money from. 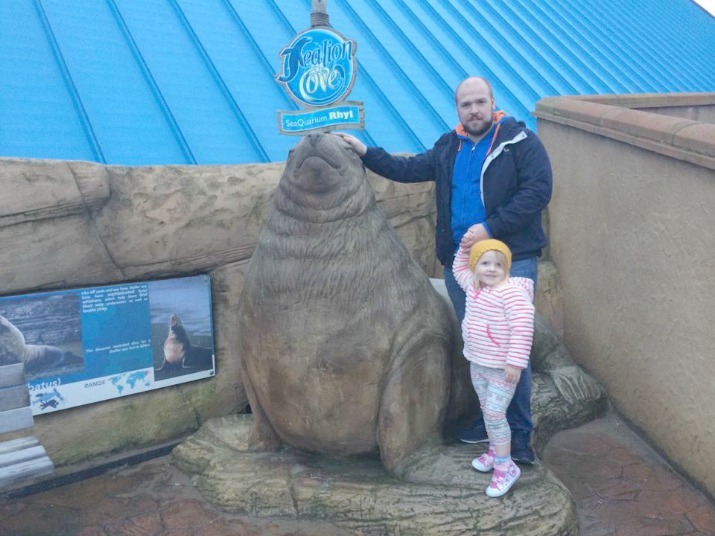 We were surprised when we visited Aquariums that the experience was over so quickly - I always think the free one in Alton Towers gives just the same experience with no extra payment. 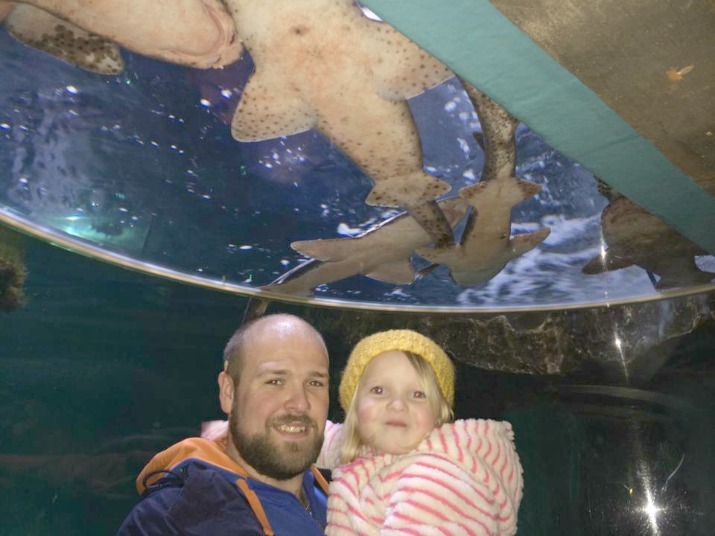 We've not taken Rowan to an aquarium, it's on our to do list this year. Looks like s lovely little aquarium. I adore aquariums. We have one here in Houston Texas that is fun.. its a like a fun little theme park for adults and kids.